To apologize for a recent service disruption, CCP Games is awarding all current EVE Online players 50,000 unallocated skillpoints. On June 2, EVE Online, the world's premier spreadsheet management simulation, fell victim to a sustained denial of service attack. 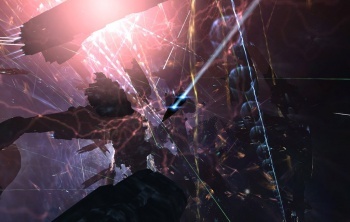 The effort knock out EVE's main server cluster (which also happens to be the cluster that supports CCP's first person shooter DUST 514), and resulted in what the studio describes as EVE's "longest downtime in quite a while." In an effort to win back public support from its hordes of dedicated fans, CCP has decided that the best course of action following the outage would be to shower players in free stuff. Specifically, 50,000 unallocated skillpoints. If you're an EVE Online player with a functional account, there's no effort needed on your part; Just fire up your character, take a look at the skill sheet, and you should suddenly have a wealth of points to spend on upgrades. Further (and because CCP doesn't want to leave anyone out), the company is also extending an additional 7 days of free gameplay to anyone who was enjoying the game's complimentary 7 day trial when the denial of service attack took place. If nothing else that should send a strong message about how highly CCP values the EVE playerbase and any potential new players the game might draw. Despite all of this generosity, CCP is not always a kind and loving virtual deity. The Icelandic company also has a vengeful streak. In the announcement covering this 50,000 skillpoint gift, CCP also points out that its "PLEX for snitches" program is an ongoing effort that allows players to earn in-game rewards for dropping dime on anyone with plans to disrupt EVE or do anything else that might somehow harm the space-based MMO. Given the sorts of things that CCP considers fair play - massive corporate embezzlement plots, assassinations, pyramid schemes - this generally only boils down to people actively attacking the game's servers, but if you do happen to have specialized knowledge of that sort of thing CCP would love to reward your willingness to tattle on your peers with cash expressly designed for use in EVE Online and DUST 514. You can find full details on the "PLEX for snitches" program on the official EVE website. Nothing to report? Then simply enjoy your new skillpoints. You've done nothing to earn them, and that makes the reward all the sweeter.